"How can I download Myspace videos for free?" Myspace is a video-sharing site hosting a large number of videos and music. You can upload videos and songs to the site, but you have no way to download Myspace songs and videos. 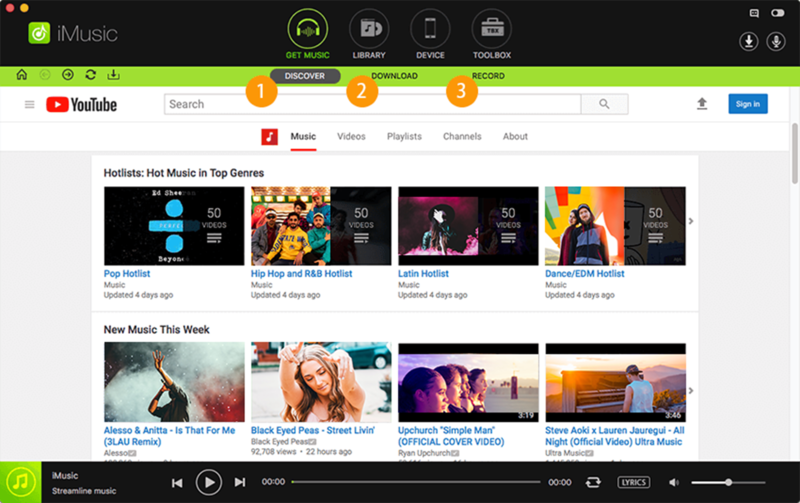 If you are looking for a way to download Myspace videos and songs free for offline playback, here is the right place for you. Below we will show you the detailed guide on how to download videos and songs from Myspace. To get video from Myspace, you need a reliable Myspace downloader. Here I highly recommend an easy-to-use yet professional iTube Studio. It can help you to download any Myspace videos. And it also work as a Myspace MP3 grabber allowing you to download the Myspace songs to MP3 format. 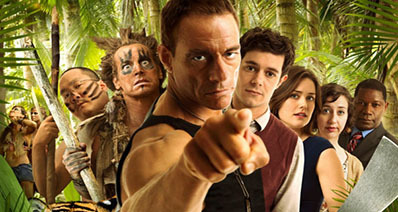 1 click download any online videos from 10,000 more sites. Convert videos to MP4, MP3 and any other formats or to mobile devices. 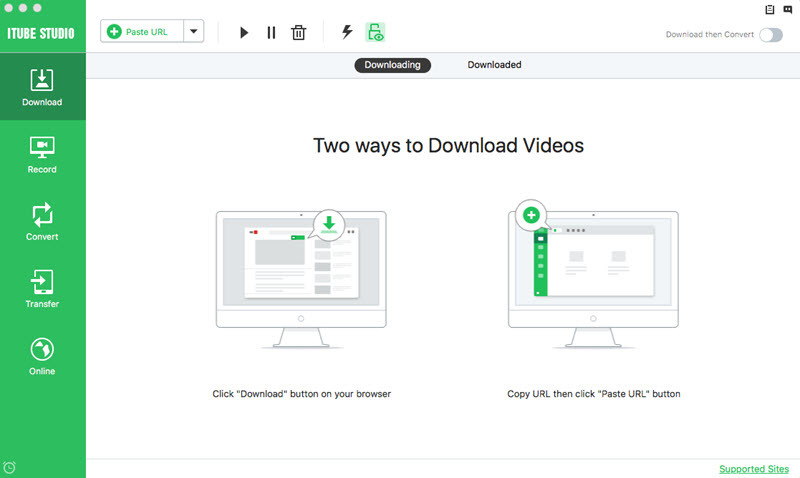 Play the downloaded videos or your local FLV/MP4 videos with a built-in player. Record videos from Myspace, Hulu, Netflix, iTunes, Hollywood Video, and more. Now follow the tutorial below to start downloading video from Myspace on Mac. For Windows users, please get iTube Studio for Windows and then take the same steps. For Mac users, you can first download the program and then drag it to the "Applications" tab for installation. After that, double click to launch the Myspace video downloader for Mac and nevigate to the next step to grab Myspace music and videos. Using download button. Open your web browser to visit Myspace. Play the videos you want to download, and then you will get a "Download" button on the top left corner of the video window. You can click the "Download" button to activate downloading. Using video URL. 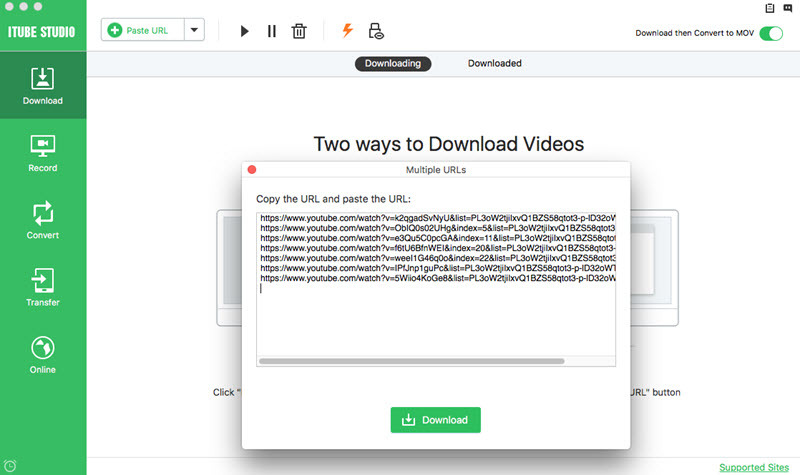 You can also drag and drop the video URL into the program for downloading. Or copy the video URL and click the "Paste URL" button. The video will be add to the download queue. Using record feature. This video downloader allows you to record Myspace music and videos directly. 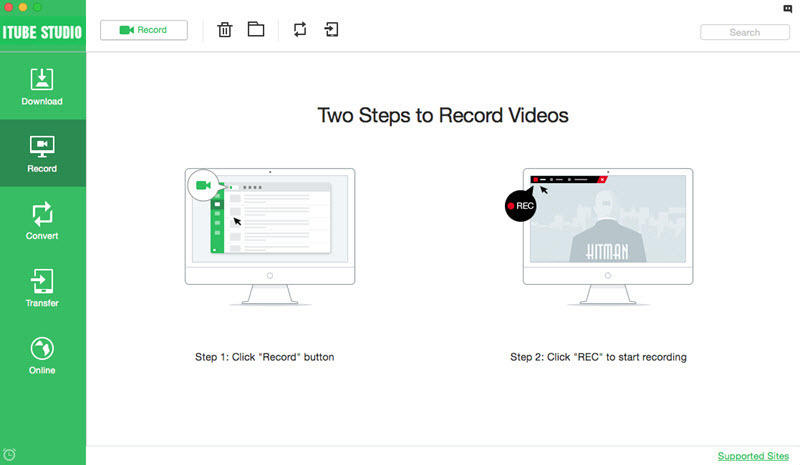 You can go to the program main interface to open the "Record" menu and click "Record" to open the video recording window. Now open the Myspace songs and videos, and click the "REC" to start recording. 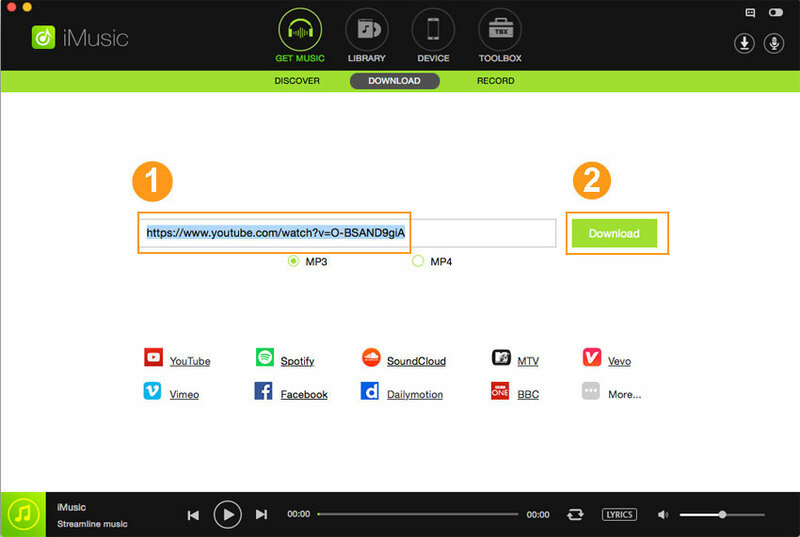 This feature is very useful for those unable to download videos. To play Myspace on your iPhone, Android or other devices, you can convert the Myspace songs to MP3. 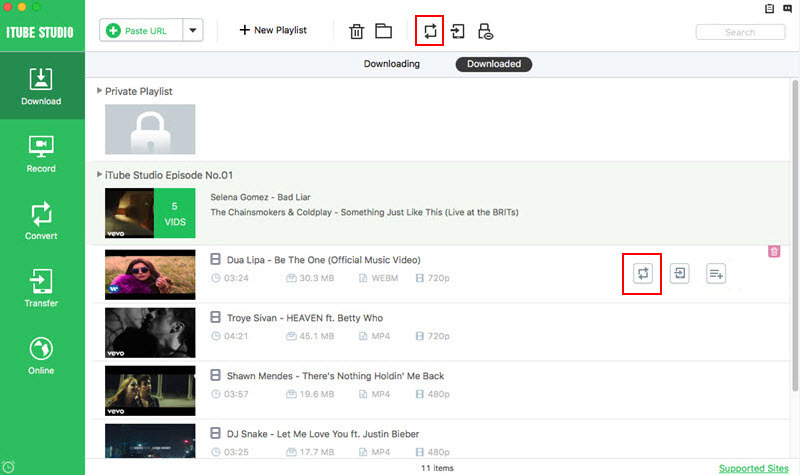 To do so, click the “Downloaded” tab in the "Download" menu to add the downloaded videos to the convert list. Now go to the "Convert" menu and click “Convert” to open the conversion window. And you can select video and audio format as the output format. You can also choose a device name as the target output. What's more, you can directly export the Myspace to iTunes. Most people normally use social media platforms to communicate with their friends and relatives. Some of the common social media platforms include: Facebook, Twitter, WhatsApp, Instagram and so on. However, did you know that Myspace is also a social networking website? It is actually one of the most popular social networking websites with millions of members all over the world. It normally allows its users to communicate through forums, e-mail, user profiles, weblogs and photos. You will realize that Myspace has actually gained popularity because it allows its members to express themselves using various tools that makes self-expression and communication easier and faster. 1. Always expand your network of friends. It is important to continuously expand your network of friends. You should not get satisfied with the number of friends in your network. You should aim at inviting more people to your network, especially those who share the same interest as you. These can be your prospective clients. It is important that you always check your Myspace account and interact with other members. You will realize that your visibility can help your business get the exposure it needs. You should also show expertise when interacting and try to help others in solving issues they have. You will realize that when you build a connection, it is easier to pitch in your products. 3. Upload high quality videos. It is important that you upload high quality videos so that you can attract your prospective clients. You will realize that if your videos are interesting and of high quality, most people will view your profile often. Those are some of the essential tips that you should follow when using Myspace. You should keep your profile simple, but with a lot of information. Always ensure that you look professional. 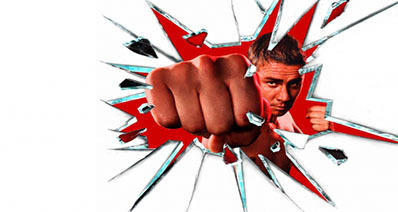 Follow the above mentioned tips and you will enjoy the results. To download songs from Myspace, you need a great Myspace music downloader. iMusic is the ideal tool for you. The program lets you download music from 300 music sites and record music from unlimited sites and radio stations. You can freely customize the output format and audio quality. Its advanced ID3 tag technology will help you easily get or edit songs' information. 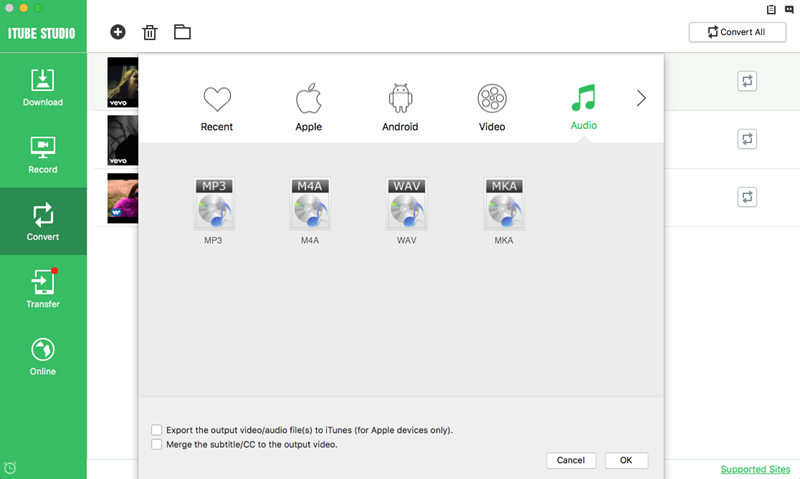 You can even directly transfer the recorder music to iTunes or burn the music to a CD. 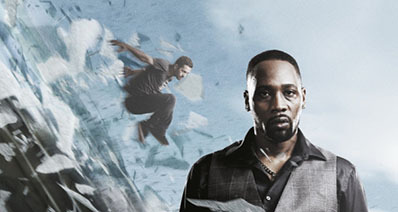 Download the program right now to get unlimited music. iMusic has separate version for Windows PC and Mac. You need to download the right version according to your computer operating system. After the installation is finished, launch the program and click the tab "GET MUSIC". From there, click the "RECORD" button. Click the red record button at the lower part of the software. After then, play the Myspace music on your computer. To make the recorded song a complete one, you're supposed to play the music after clicking the record button. During the recording process, the software will filter the ads and get the music album, artist and cover for you. When the recording is complete, you can go to the "LIBRARY" to check out the music. Click the microphone icon to display all recorded Myspace music. 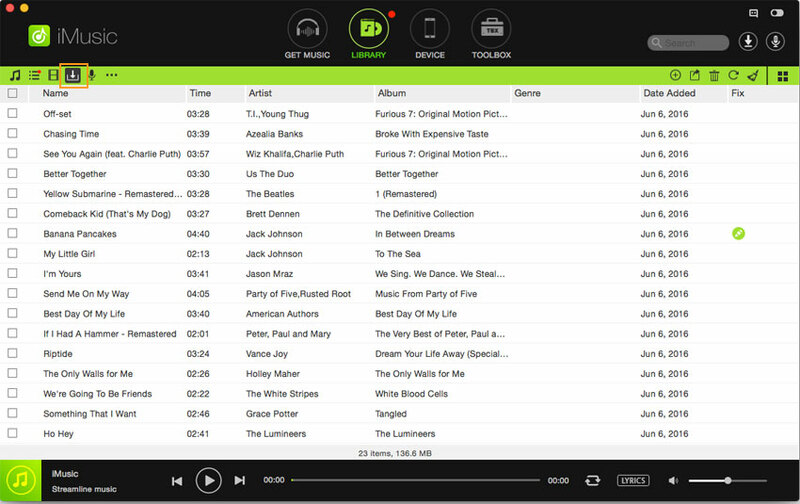 After then, you can check the songs to transfer to Android phones, iPhone, create a car playlist or burn to CDs. It all depends on your needs.